The roar of the crowd, stomping their feet to the sound, gave it all to the Superstars of NXT in the City of Brotherly Love. WWE's NXT hit the road this weekend for its latest tour through the northeastern United States, kicking off with a stop at the historic Tower Theater in suburban Philadelphia. From the moment I stepped through the front doors of the venue, it became clear that I was in for a night unlike any I had ever experienced in 25 years of attending live professional wrestling. There was an excitement, a giddiness even, that each fan exuded as they took their seats for the event. 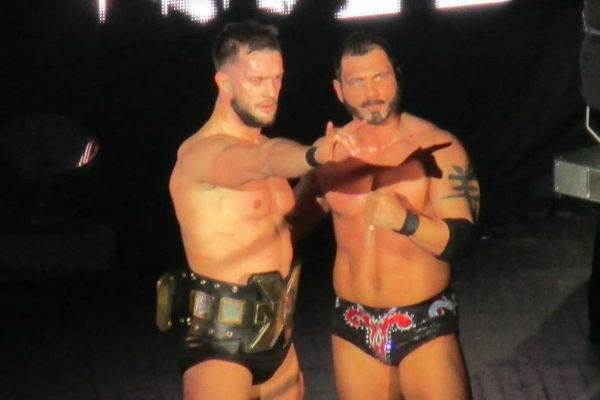 Finn Balor t-shirts were prevalent and chatter about the first in-ring appearance of former TNA and Ring of Honor world champion Austin Aries spread like wildfire. And then the bell rang and all of it was immediately understandable. From the moment Colin Cassady and Enzo Amore exploded through the curtain to the final salute to the audience by the aforementioned Balor and Aries, the show captivated fans, eliciting some of the most original chants ever heard at an event ("this is boxing!"). Eva Marie generated the most heat, though "The Drifter" Elias Samson came in a close second, while Bayley and NXT champion Balor drew the loudest pops. A strong in-ring product combined with humorous moments to provide fans with a phenomenal show the likes of which few others wrestling brands are capable of delivering in 2016. In the wake of my first NXT experience, join me for this look at several interesting observations made as the most revolutionary brand in the sport left its mark on the City of Brotherly Love.